This website is the digital extended version of The Citizen print news. Articles found on StuttgartCitizen.com may also appear in The Citizen newspaper. Both the printed and digital editions of The Citizen are published by AdvantiPro GmbH under contract with U.S. Army Garrison Stuttgart. Contents of The Citizen are not necessarily the official views of, or endorsed by the U.S. Government, the Department of Defense, or the Department of the Army. 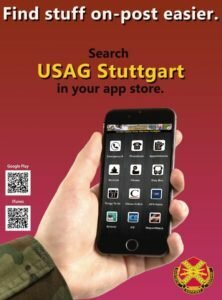 All editorial content on this website is edited and approved for public release by the U.S. Army Garrison Stuttgart Public Affairs Office. Advertisements and private organizations noted on this website are provided by AdvantiPro GmbH and not a part of the Department of Defense.